The following is a list of POS systems registered with USA ePay. For more information about a specific POS provider, click on the name of the POS for a quick summary, use the contact information to reach out to the company directly, or click the link to the company website for more in depth information. If you do not see a the POS provider you would like to use on this list, it does not mean that it is not compatible. It just means they have not registered with us. To check compatibility of any POS NOT featured on this list, reach out to the POS provider directly. Aptito features an industry leading Point-of-Sale (POS) All-in-One Solution that includes digital menu software. Our digital POS works on any iPad or Android tablet and includes cloud-based, remote access (available on iPad POS systems), empowering you to have complete control over the operation of your hospitality business, even if you are on the other side of the world. We also offer affordable tablets that can be purchased at cost or leased and used for your iPad POS system and digital menus. Our solution is the most cost effective in the industry, with plans starting at just $29.99 per month with no contracts! Aptito’s All-In-One Digital Solution offers the most complete package of features to bring your restaurant into the digital age. Our easily customizable digital menus are offered on both iPad and Android tablets (for iPad restaurant menus or Android restaurant menus) and they are seamlessly integrated with our full-featured Point-of-Sale (POS) system, real-time reservation solution, and smartphone app. It’s never been easier to interact with your customers, monitor your restaurant remotely, and flat out increase your bottom line! iPad Point of Sale is going to change the way you do business. Replace traditional POS systems together with cloud data access, wireless technologies, and a sleek touchscreen interface on an any Apple Mobile Device. With comprehensive reports, mobile ordering, credit card swipe and multiple terminals all working in sync, Lavu iPad POS is much more than an App; it is a smart, complete solution to fulfill point of sale needs of small restaurants and national chains alike. Cornerstone Business Solutions is a client-focused, results-oriented business consulting practice. Our mission is to help businesses unlock their full potential by building on the cornerstones of FINANCE, OPERATIONS, MARKETING and PEOPLE. We help clients identify and solve problems. Seize opportunities. Design and implement sustainable solutions. Achieve lasting results. With 30-years of business management and consulting experience, Chris Hunter and Cornerstone are well qualified to help you build a better business. We cover the cornerstones. Building better teams. Building markets. Achieving superior levels of customer service. Improving cash flow. Helping your business become “bankable.” Harvesting operational efficiencies to build gross profit. With over 25 years experience in debt collections and over 1,350 installations, Debtmaster® sets the standard by which all other PC-based collection software are measured. EmaginePOS is the next major step in the evolution of Restaurant Point-of-Sale Systems. The EmaginePOS Point-of-Sale System is the POS of the future and will greatly improve restaurant operations and help increase profits. It will be able to do much more than a typical POS bringing real-time metrics and mobile technology to the touch of your fingertips. P.I.M.S. (Professional Inventory Management System) is the most advanced Inventory/Sales management system with POS and Accounting which allows a company of any size to manipulate different Inventories (both Finished Goods and Components) to the fullest extent possible. P.I.M.S. allows Users to have unlimited searching, sorting, reporting and updating capabilities. With over 10,000 functions available, P.I.M.S. meets or exceeds the needs of most any business. Whether your business is simple Point-Of-Sale (POS) Retail, Mail Order, Manufacturing, Aerospace, University, or even a Service Provider that has no Inventory what-so-ever, P.I.M.S. has the functionality you need to operate your business in an efficient and comprehensive manner. Foundry POS by Merchants Choice is an innovative, Android-tablet based POS software suite loaded with powerful business management tools that Today's merchant demands. An affordable, easy to learn and use, FoundryPOS streamlines store operations while elevating the consumer experience to build loyalty and increase revenue. The natural evolution of the cash register. International Point of Sale is a global one stop shop for all things point of sale. It specializes in point of sale and inventory solutions for small businesses including restaurants, retail, hospitality, and healthcare industries. An intelligent combination of cloud computing, wireless technologies, and a sleek touchscreen interface. POSLavu is Point of Sale software that takes full advantage of Apple's iPad and iPhone technologies. With detailed reports, kitchen display, mobile ordering, credit card swipe and wireless printing all working in sync, POSLavu is much more than an App; it is a smart, complete solution to fulfill point of sale needs of small restaurants and national chains alike. LightSpeed for Mac The Complete Retail Solution. LightSpeed Mobile Meet Your Customer. Like no other retail system before it, LightSpeed Mobile enables your sales staff to bring the retail experience to your customer. LightSpeed eCommerce makes it easy for retailers to grow online and stand out in a crowded online marketplace by offering LightSpeed retailers the choice of two powerful eCommerce solutions that integrate seamlessly with your existing LightSpeed workflow: LightSpeed Web Store and Magento eCommerce Platform. Next Gen Dine point of sale software was built around the unifying goal of providing the future of restaurant dining with a mobile, POS software. This means software that caters to the quick-paced environment of a bustling restaurant. When things get busy, you can count on Next Gen Dine to hold the fort down. Simplify the ordering process with pay-at-the-table capability, or even mobile and online ordering options. Why make extra work? Let customers tailor meals at their convenience and set their own pace, leading to a memorable dining experience to win their support. Next Gen Dine restaurant POS software also makes things easier on the backend. A back office POS terminal gives you management tools to add discounts, update employee roster, manage schedules and payrolls, and so much more—all the tools you need for smooth sailing to success. Nodus Technologies is a provider of electronic payment, e-commerce, and retail business process automation software for small and mid-size companies. Nodus leverages Service Oriented Architecture and web services technologies to provide cost effective, comprehensive: e-commerce, electronic payments and retail management solutions for Microsoft Dynamics™ ERP. Retail and restaurant owners choose Paradise POS and our innovative iPad POS software because it combines it combines legacy POS system functions with the convenience and simplicity of the iPad interface. 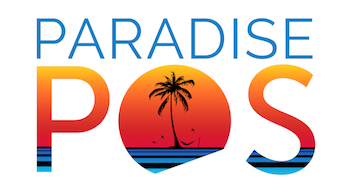 Not to mention, Paradise POS also offers extra elements that make running your business easier, like customizable features and a secure system, all backed by our dedicated customer support team. OrderDog provides ordering, inventory, and point-of-sale solutions to retailers & suppliers. Our unique industry marketplace database helps suppliers get products presented, promoted, and available to their retailers. Rainier operates four brands, each with a focused solution for a specific market segment. Our brands have been the trusted online registration and online registration software provider for more than a thousand organizations, for tens of thousands of activities and events, for millions of transactions and for hundreds of millions in payments. Retail Pro was developed in the mid 1980s and is now a leading international point of sale software provider. We specialize in delivering cost-effective, scalable retail software to small and mid-tier retailers who wish to grow their businesses. Our solutions manages billions of transactions annually in more than 45,000 store locations worldwide, in 75 countries, and 18 different languages. The product is scalable and supports from one to thousands of stores. Revel iPad POS is the cash register for the 21st century. This mobile POS software provides up-to-the-minute reporting to track the sales at your restaurant, grocery or retail store in real time. There is no back-of-the-house server needed, no mandatory contracts, and no hidden fees or charges. Welcome to the future of Point of Sale! As product development center for Exact eCommerce since 2000, we have developed for Macola, Macola Progression and Macola ES ERP’s, Sniperdyne has successfully been embraced throughout the Exact Software community for its ability to improve the quality and productivity of any enterprise. Our Asimilate eCommerce suite of solutions, developed in 2006, provides a robust, expandable, and mobile enterprise-class platform for customer, salesperson and vendor access; delivering the highest quality and most technologically advanced services and products available. Asimilate Software has successfully been embraced throughout the Exact Software user base for its ability to improve the quality and productivity of any enterprise. Apply discounts to an individual item or an entire order. Choose from dollar or percentage discounts. Get a detailed breakdown of discounts applied to all orders. With the clock in feature you can better manage your employee hours. Track hours worked by each employee using the timesheet report available via the app or through talech.com. Get detailed reports on sales and transaction trends. See which products and employees are the top performers. Get a daily summary at the end of each business day and always be in the know. Capture customer information at the point of sale. Understand how often your customers visit your business, how much they spend, their last visit and their preferences. You can read about more of the features they offer directly on their website below. One Screen - All your order information can be collected on ONE SCREEN. No more flipping back and forth between screens. Easy Shopping Cart - Add / Remove items with a click of a mouse, that simple. Looking for an item? Type in the name and it will search for it item right in your order screen. Customer Picker - Type in a customers name and hit enter. If they are in the system already it will show you their name. If they are not you can set them up with an account. Recipient Tools - Recipient Favorites, Insert Customer as Recipient, Clear Recipient Info, Shop Frequent Locations and Add Shop Frequent Location. Print From Main Screen - Print a receipt, work ticket or combined work ticket right from the main screen. Email Receipt - If a customer wants you to email them a receipt, now you can. Split Pay on Two Credit cards - You can now split the payment between two credit cards. How cool is that. Trash Bin - Have you ever deleted an order by accident? Has an employee deleted an order with out you knowing? The Floral POS has a Trash Bin, you can look at all the orders that have been deleted. At that point you can restore the order, delete it forever or copy it, up to you.. Standing Orders - We have created a "Windows Service" that monitors your standing orders. You can create a standing order from scratch or use an existing order to create one. Delivery Manager - Create a Trip, Assign a Driver, Change the Status of the Order, View the Order, Recipient Signature, Email Delivery Confirmation, and much more in the new Delivery Manager. 100% Send / Receive Capability - with Floral Source and the Flowershop Network. Florist 2 Florist - Every once in a while a florist will give an order to a Florist. We have built this into TFPOS. Enjoy. Amazing Order Browser - This allows you to view all your orders. You don't even have to open the order. Just click on it and all the information will display on the screen. From Recipient to Items ordered, simply amazing. Barcoding - TFPOS has barcoding!! From adding a barcode to an inventory item, to scanning a barcode into an order. See it to believe it. Credit Card Authorization over the internet - No longer are dial up modems needed, you can get your authorizations over your high speed internet line. This means that your approvals will be super fast. Compatible with all major credit card companies - We have teamed up with all the major credit card companies so that it makes your life easier when choosing a Floral POS system. Auto Complete Shop Frequent Locations - Now you can just start typing the name of the location you want to deliver to and it will show up in a drop down list, simply amazing. Zuza is a technology company that offers unique software solutions to its partners. By empowering you with a white labeled POS system, Zuza helps your merchants optimize their sales and simplify day-to-day operations. Zuza puts the power in your hands to enhance your company’s image and profitability, and helps set you apart from your competitors. Our partners have found partnering with us gives them the ability to take their brand and expand it into an entirely new realm of product solutions. Having your own branded POS will increase profits from existing customers, supercharge your sales force and increase retention across the board. Partnering with Zuza isn’t just a smart move – it’s a necessity.